Is your business relocating in the near future? If the answer is yes, start making plans now as moving office requires a structured approach to ensure a smooth transition. Both small and large businesses contain a range of equipment, everything from computers and printing equipment to delicate machinery. To ensure everything stays in one piece you’ll need to utilise the skills of your employees as well as experienced removalists. Here are a few essential tips for a successful, stress-free commercial move. An office move can take months of planning. Once you’ve found suitable new premises, it’s a good idea to appoint a project manager who is responsible for communicating with staff and keeping the business relocation running to schedule. Relocating a business to new premises is also an ideal time to spring clean. If you’ve got old office furniture, computer equipment, paper files or other items that are just taking up space, now is the time to send them off to the tip. It’s also an ideal time to upgrade any ageing equipment and furniture, ready for your brand new office. Make sure your project manager creates an office move timeline that all your employees are aware of. 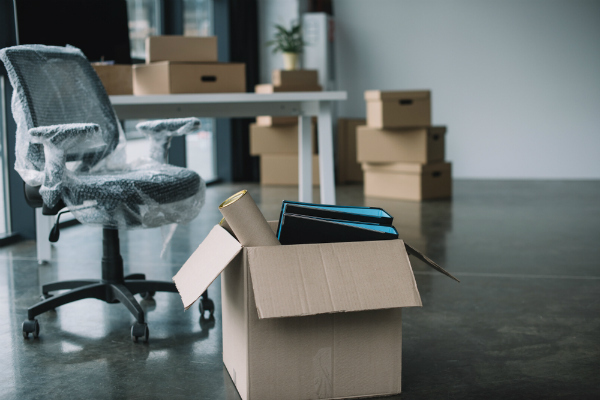 Your staff need to know what date their equipment will be packed away, when they should start moving their personal belongings and the starting date at the new premises. If you need extra help unpacking, make sure your staff are aware in advance in case it involves after-hours or weekend work. Lynns Removals offers a full range of moving services for your office relocation including cartons, pre-packing and storage. Office removals are available anywhere in Australia – Sydney, Canberra, Wollongong, Nowra, Brisbane, Melbourne and anywhere in between. Get in touch with us for a free office removal quote or to ask us for advice on relocating your business. There are 0 comment. on "Office Removals: All About Business Relocation"